When I published The Dragon's Gift, I hoped it would be available across Africa. But I knew little about the business side of publishing. Oxford's Southern Africa branch in Cape Town is mainly focused on textbook publishing, and declined to market it. Therefore, it was not picked up by any of the South African book chains. It is still available in Africa -- but at a high price (over $50 compared with $19.76 on Amazon.com) and generally in only a few locations. 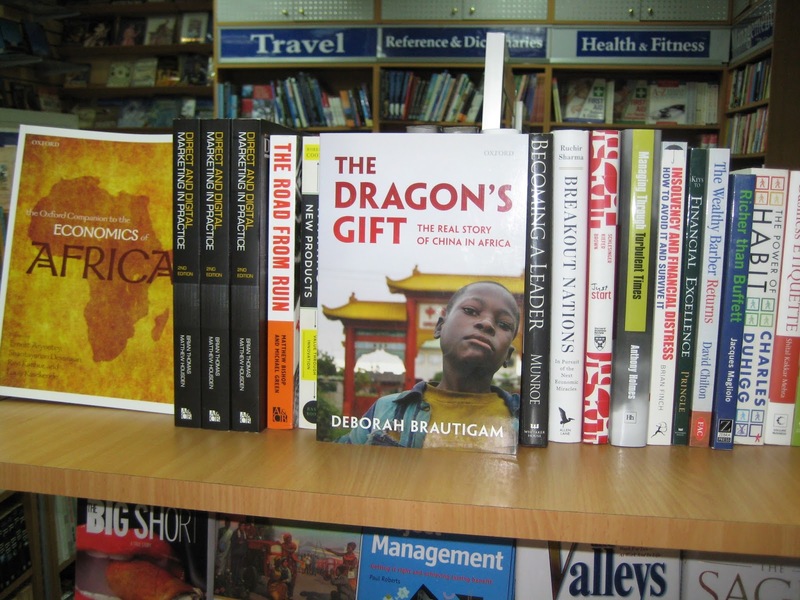 Just last week, however, I had two emails from people who saw it for sale in airport bookstores: in Entebbe, Uganda, and in Nairobi, Kenya -- at a hefty mark-up. What I've learned from this: if you want to have your book marketed in Africa, do not sign over world-wide rights to your publisher. Keep the rights for publication in Africa, and negotiate this separately with a publisher based on the continent -- or one with a hearty distribution network.